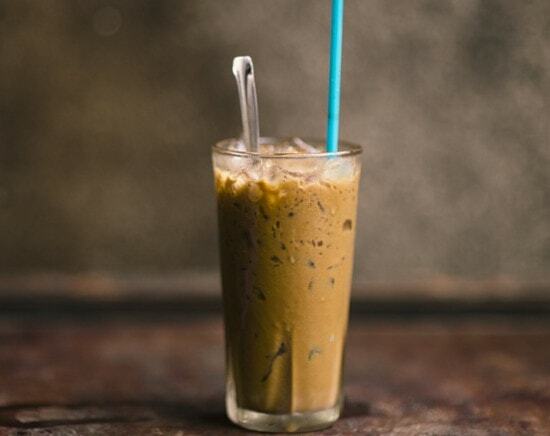 Vietnamese iced coffee is known for being strong, sweet, and refreshing. If you want to make a Vietnamese iced coffee at home, it’s pretty easy. You can buy a Vietnamese coffee press to make it, but there’s another method that might be more recognizable and that you probably already have on your countertop. There are only a few ingredients needed and the steps are simple. Make sure you buy Vietnamese ground coffee if you want it to be authentic. The ingredients and supplies you need are listed below. Then we will show you how to make this international coffee delight. The best method for brewing Vietnamese iced coffee without a Vietnamese coffee press is with a drip coffee maker that has iced coffee settings. 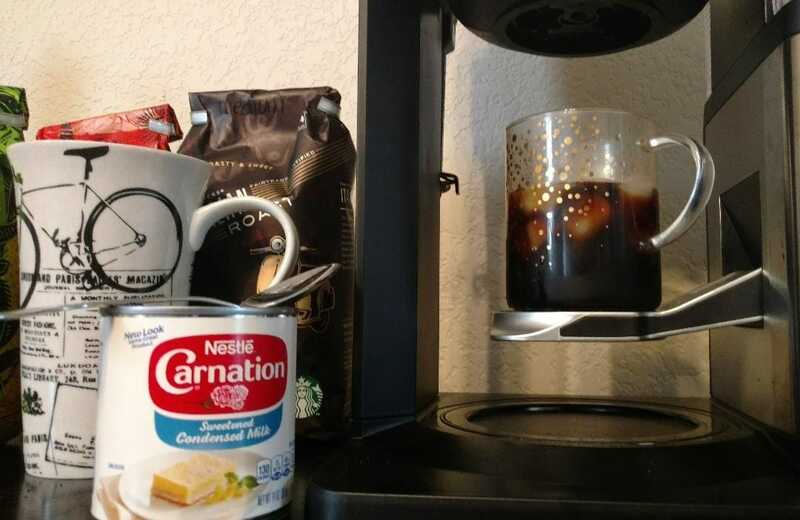 If you don’t have one at home, you can use a regular drip coffee maker. However, putting hot coffee over ice might not taste as smooth or authentic as it would with cold coffee settings. Put the half cup of ice into the glass you are drinking your iced coffee from. Then place this directly under the pour spout if you can. If you are using a carafe instead, put the glass aside for later. 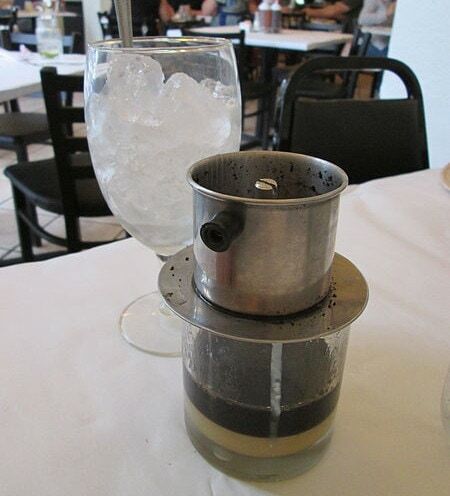 Scoop two to three tablespoons of the Vietnamese ground coffee into the coffee filter inside the filter basket. Tip: You can use more coffee if you are brewing a larger amount. The proportion of water and coffee should be eight ounces of water for every two to three tablespoons of coffee. In our demonstration, we are brewing a single cup of iced coffee, so we use this exact ratio. 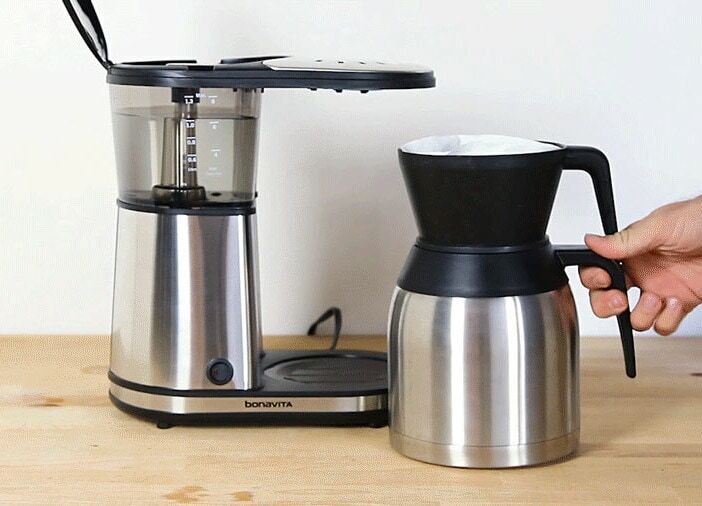 Repeat the ratio for every cup of coffee you want to brew. If your machine has the option to select brew size, do that. Select the iced coffee option and let the brewing begin! 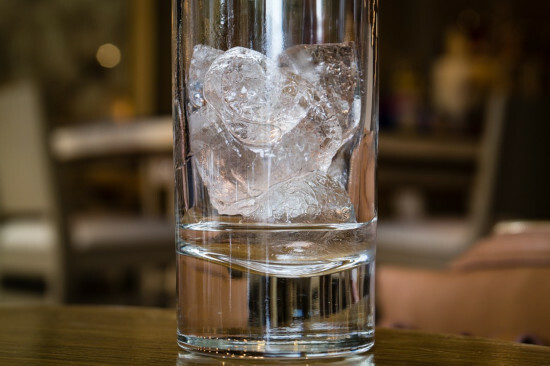 Let the coffee brew over the ice in the glass. This should take five to eight minutes. Once it is finished brewing, remove the glass from under the drip spout. Drizzle a spoonful of the sweetened condensed milk over the coffee and ice. Add one more spoonful if you want it sweeter. Enjoy!